This pioneering ethnography of psychoanalysis focuses on Chicago, a historically important location in the development and institutionalization of psychoanalysis in the United States, in order to examine the nexus of theory, practice, and institutional form in the original instituting of psychoanalysis, its normalization, and now its "crisis." A pioneering ethnography of psychoanalysis, Illusions of a Future explores the political economy of private therapeutic labor within industrialized medicine. Focusing on psychoanalysis in Chicago, a historically important location in the development and institutionalization of psychoanalysis in the United States, Kate Schechter examines the nexus of theory, practice, and institutional form in the original instituting of psychoanalysis, its normalization, and now its "crisis." She describes how contemporary analysts struggle to maintain conceptions of themselves as capable of deciding what psychoanalysis is and how to regulate it in order to prevail over market demands for the efficiency and standardization of mental health treatments. In the process, Schechter shows how deeply imbricated the analyst-patient relationship is in this effort. Since the mid-twentieth century, the "real" relationship between analyst and patient is no longer the unremarked background of analysis but its very site. Psychoanalysts seek to validate the centrality of this relationship with theory and, through codified "standards," to claim it as a privileged technique. It has become the means by which psychoanalysts, in seeking to protect their disciplinary autonomy, have unwittingly bound themselves to a neoliberal discourse of regulation. Kate Schechter is Assistant Professor in the Department of Psychiatry at Rush Medical College, Chair of Conceptual Foundations at the Institute for Clinical Social Work, and faculty at the Chicago Institute for Psychoanalysis. She is in the private practice of psychoanalysis and psychotherapy in Chicago. "One can read Illusions of a Future as a key interlocutor for Foucault and Derrida, and as a counter to readings of Foucault (Rose and Rabinow are named) that do not allow for the internal divisions and messy historical shifts within psychoanalysis. It will appeal to readers in the humanities, to social workers and psychologists who think dynamically, to science studies scholars (collegiums of expertise, boundary work, trading zones, epistemic cultures), to debates about the repetition compulsions within the creation of biopolitical objects, and to psychoanalysts themselves." "Illusions of a Future is not only a careful, fightingly smart account of what happens to middle-American psychoanalysis and its 'crisis' under neoliberal conditions of risk and accountability. It is an argument for a rethinking of biopolitics. 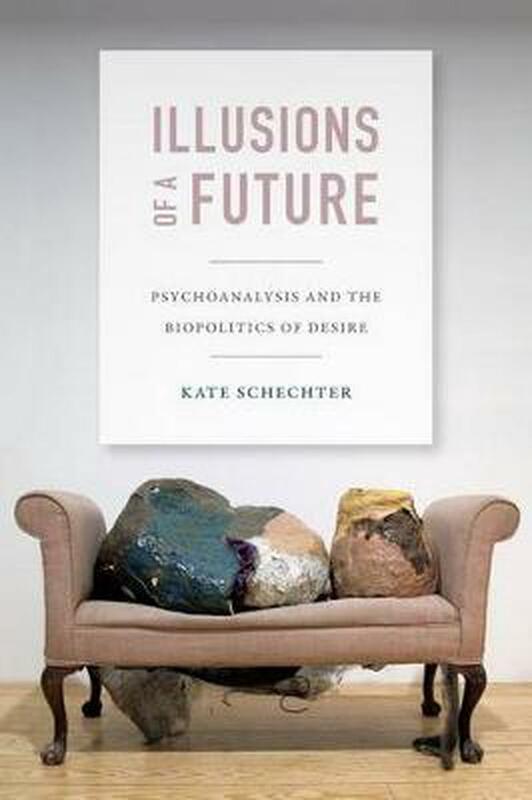 Kate Schechter uses a rigorous historical and ethnographic account of twentieth-century and contemporary psychoanalysis in Chicago to address and extend both Foucauldian and Derridean readings of analysis and of Freud at the very point where these appear to falter or reverse course. She does so through empirical engagement with 'local catalogs of resistances,' a project that she terms 'rethinking biopolitics with renovated psychoanalytic resources' and one that makes intense and rewarding demands on its reader."